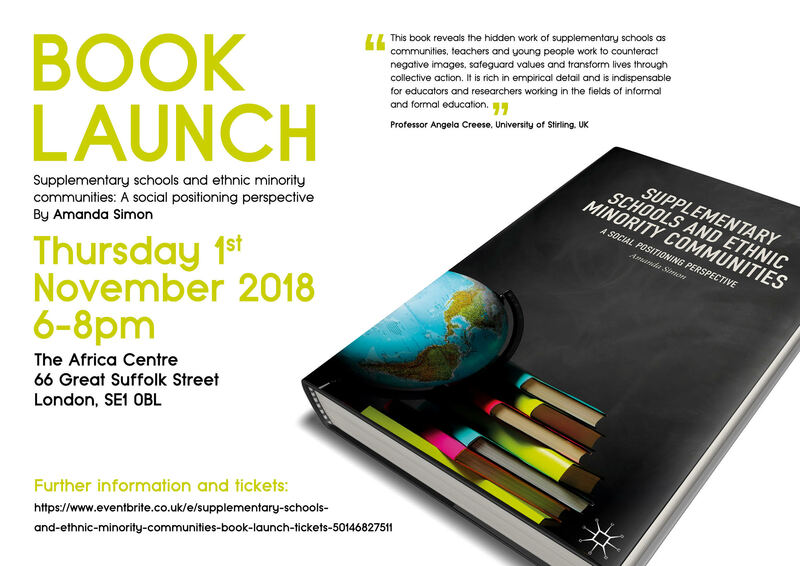 BOOK LAUNCH: Supplementary Schools & Ethnic Minority Communities | The Africa Centre | Proud of our past. Passionate about our future. Supplementary Schools and Ethnic Minority Communities explores the construction and negotiation of community identities within the context of supplementary schooling. The launch event will include a presentation by the author, Dr Amanda Simon, a Q&A session, refreshments and networking opportunity. Please visit the Eventbrite page for further information and to book your place at the event.